Well, at Avis Car Rental, anyway. The Parsippany, N.J. car rental agency has begun adding tens of thousands of new vehicles to its rental fleet and announced some of the highlights of its model-year 2015 purchases. Featuring General Motors vehicles and offering a wide range of cars and sport utility vehicles (SUVs) from other manufacturers, Avis will provide a full lineup of new vehicles designed to meet virtually any rental need. "We have made good progress in our model-year 2015 fleet purchasing negotiations," Tom Gartland, president, North America, Avis Budget Group, said in a statement. "We are excited about our new vehicle lineup, including some of the outstanding cars our customers can expect to see when they rent from Avis in the coming months." The model-year 2015 Avis Car Rental fleet includes the fully re-designed Cadillac Escalade, featuring the industry-first Total Internal Reflectance LED high-beam technology, as well as an invisible rear wiper, third-row seats that power-fold to offer more storage space, a hands-free power liftgate, tri-zone climate control and a 6.2-liter V8 engine with best-in-class 420 horsepower. GM's other large SUVs, the Chevrolet Tahoe and GMC Suburban, are also all completely re-designed for 2015 and available from Avis. Renters can also drive off in a 2015 BMW 3 Series or BMW 5 Series sedan, or a 2015 Cadillac CTS Sedan. Avis will also continue to offer the BMW 328i, 528i and 740i sedans, the BMW X3 and X5 sports activity vehicles and BMW's first roadster with a retractable hardtop, the Z4. 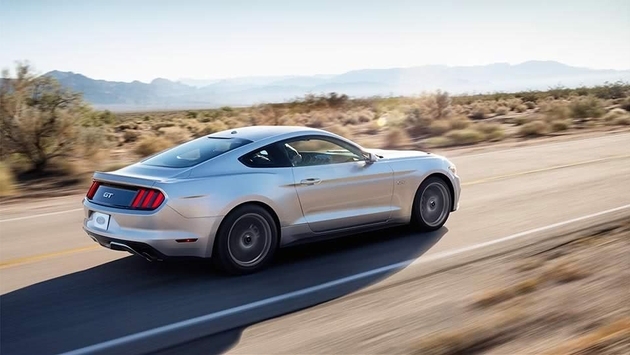 Sports car lovers will be able to try out the legendary Corvette Stingray, and Avis is also offering the new convertible 2015 Chevrolet Camaro 2SS as well as the 2015 Ford Mustang. "As always, Avis will offer customers smaller, more affordable and more fuel-efficient vehicles as well as mid-sized sedans, minivans and passenger vans, and more, from as many as 17 different manufacturers," said Gartland. "If you love the experience of being able to drive some of the most iconic and best-performing vehicles in the world, Avis will help you enjoy the ride."